Another treacherous day for us by way of storm Pax. When will it end? I hope good things are on the horizon soon for us, but it's always important to keep a good attitude. I wanted to share some of these fun snow shots I've been seeing in the nabe that shows off Astorians' awesome spirit. Take that, PAX! Singlecut is up to here with the snow. They'll reopen tomorrow, just in time for Valentine's Day! 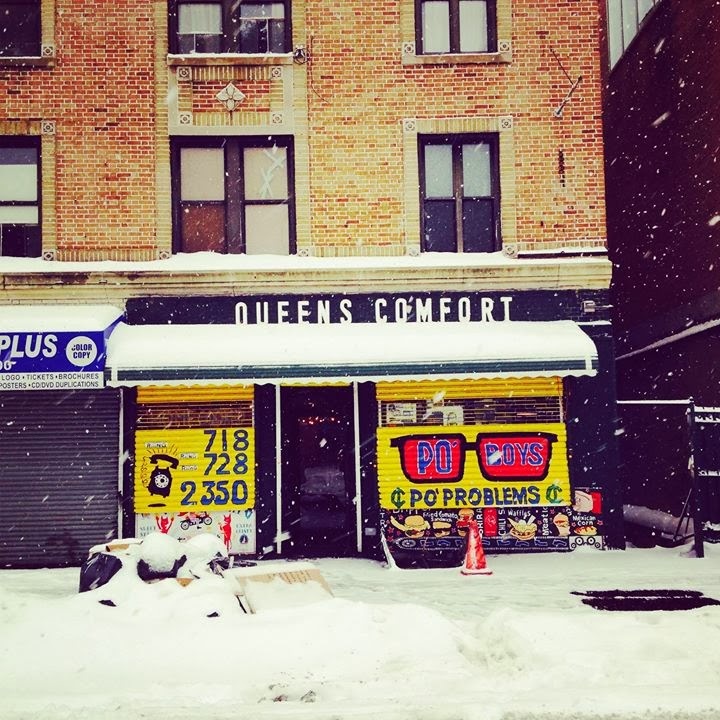 Queens Comfort is looking spunky in the snow - and they'll also reopen tomorrow. Here's also another fun video from the awesomely silly peeps at Queens Comfort. Cute little guy "doing his part," in front of Grand Cafe.